Locals’ Guide to North Shore Rides is the brainchild of pro rider Wade Simmons and trail advocate and adventurer Sharon Bader. 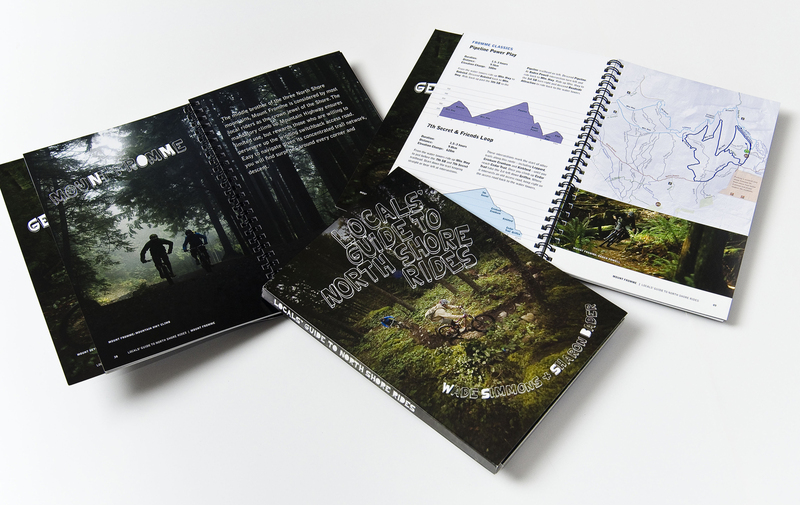 Consisting of GPS mapped elevations and detailed descriptions of almost all of the trails on Vancouver’s legendary north shore, this guide book uses clean simple design and typography to unite maps, diagrams, instructions, difficulty grading symbols and thematic photography in an engaging and inspiring guide book. The response from riders around the world has been overwhelmingly positive and the books are flying off the shelves.